If it is claimed, that the city is collectively produced by its inhabitants, and if the urban is formulated through a broad variety of practices of the every day, wouldn’t it then – in order to professionalize – be essential for all disciplines concerned with the urban to research these processes and rehearse its practices? 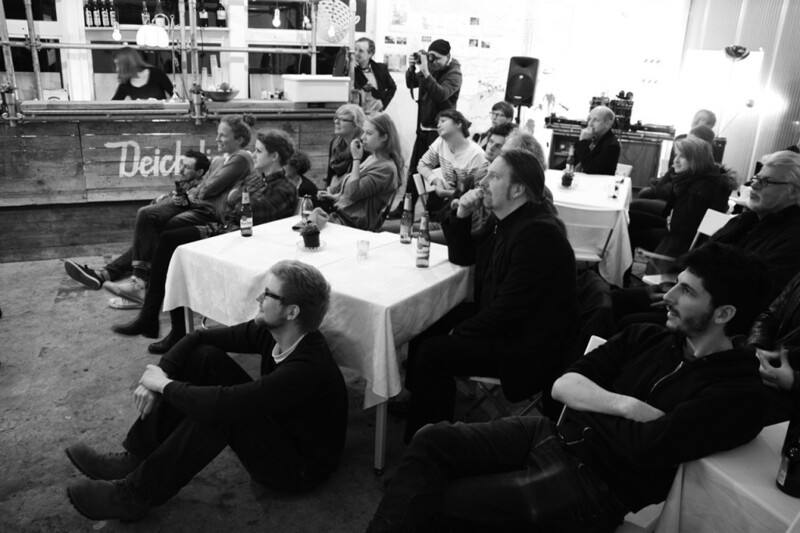 Exploring even the dimension that spans between the public, the common and the private anew? 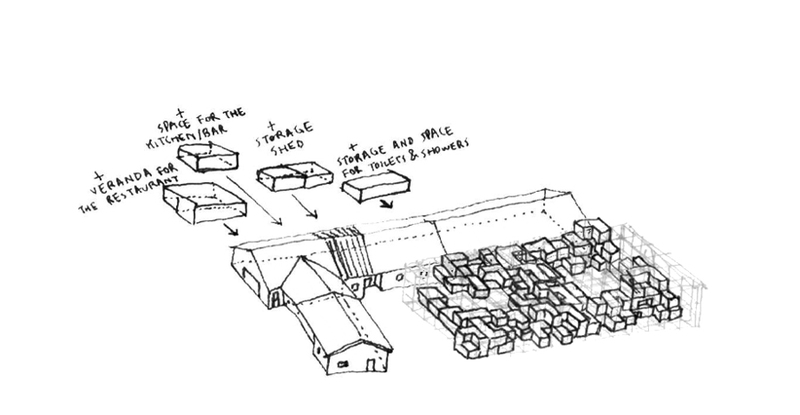 Exploring even what it means to self build a hotel out of the demands and practices of dwelling? 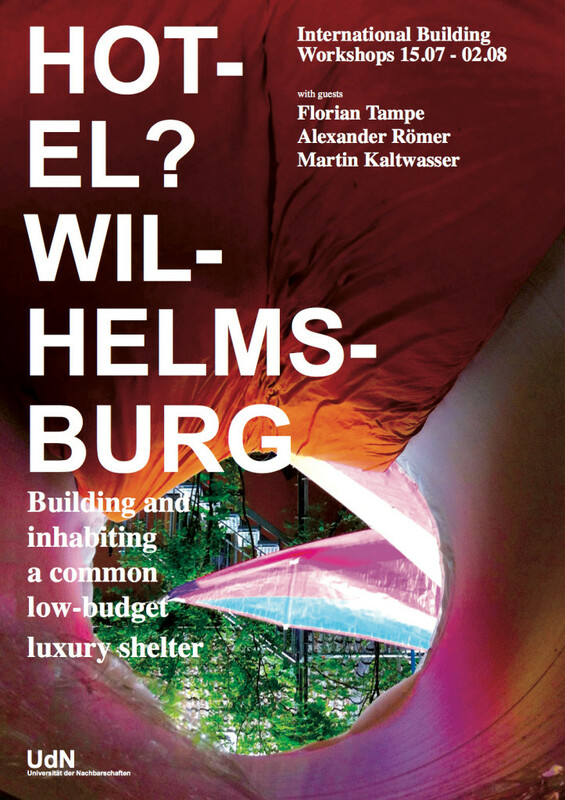 Not only in Wilhelmsburg, the questions of dwelling and living, of affordable housing in our cities become a central topic. With its 158 different nations, and a high fluctuation of “working tourists” from all over the world, parts of the island can be seen as a growing “horizontal quasi hotel”. These aspects are taken up with the research questions of the project. What is the minimum of privacy that one needs? Which functions of dwelling can be commonly shared? How to reach a maximum quality of luxury with a minimum amount of resources spent? 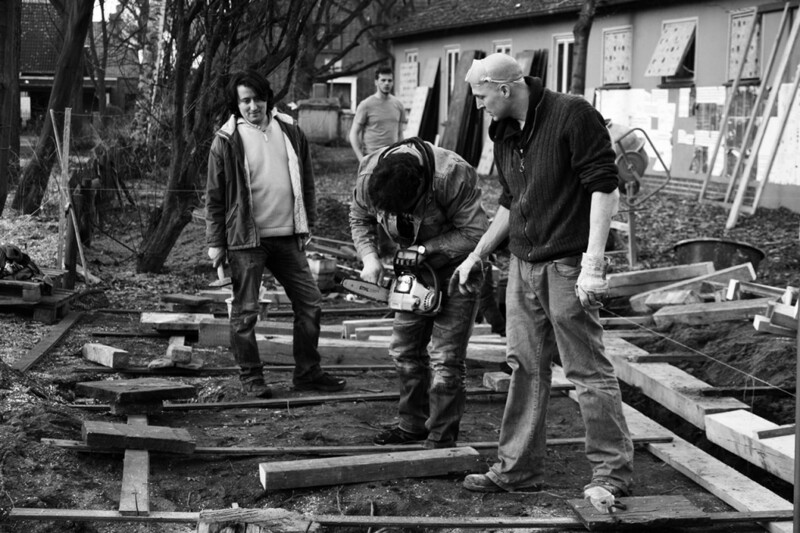 HOW TO COLLECTIVELY BUILD A COMMON LOW-BUDGET LUXURY SHELTER? Following a series of prior workshops in march and may, who left a situationist “exquisite corpse” in the yard of the UdN, reminding of Yona Friedmans “Ville Spatiale” remixed with Constant Nieuwenhuys “New Babylon”, and Cedric Prices educational modell within his “Potteries Thinkbelt”-project, the approach of the upcoming series of workshops is to foster not only the educational practice but also the luxury, place making and hospitality aspects of the project. Living, working, cooking, reveling together. Over the course of three weeks, we will continue the research and design process in a 1:1 scale. 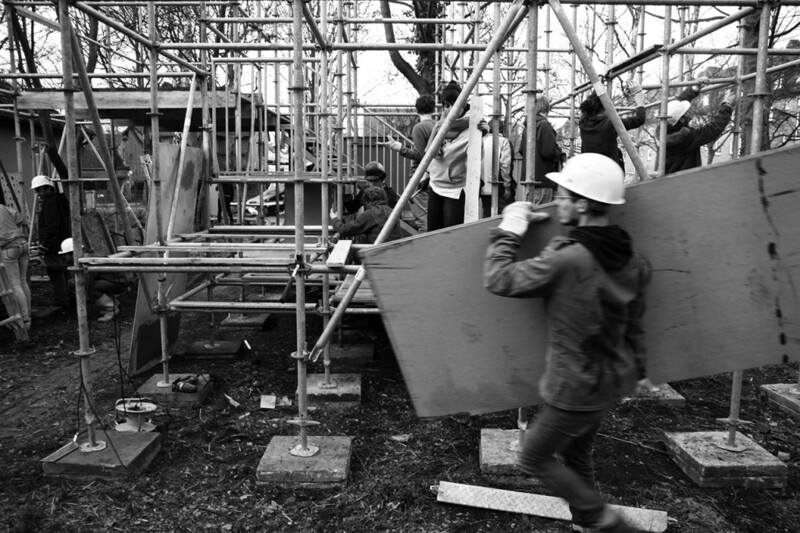 The built realization will be carried out in the typical UdN tradition – being driven by the immanent logics of materials and following principles of self-construction and radical low-budget building techniques. Each week the workshop will be attended and supervised by an international guest. These include architects and artists like Florian Tampe (Hamburg), Alexander Römer (Paris) and Martin Kaltwasser (Berlin). GO OUT AND START DOING IT! Crucial for a successful participation is one’s motivation and skills in realizing a built structure in the unique context of the “Hotel Wilhelmsburg” project, where familiar tools and images of architecture will prove to have limited feasibility. Radical pragmatism is put to the test: Go out and start doing it! Just build it! We invite professionals, students and researchers from the planning and social fields such as architects, urban planners, urban designers, civil engineers, social scientists, geographers and experts from related fields. This workshop will be held in English and German. During the workshops parts of the UdN will already be used as a hotel: participants will have the opportunity to live in the building while working on its architectural transformation. Don’t forget to bring your sleeping bag and towel! 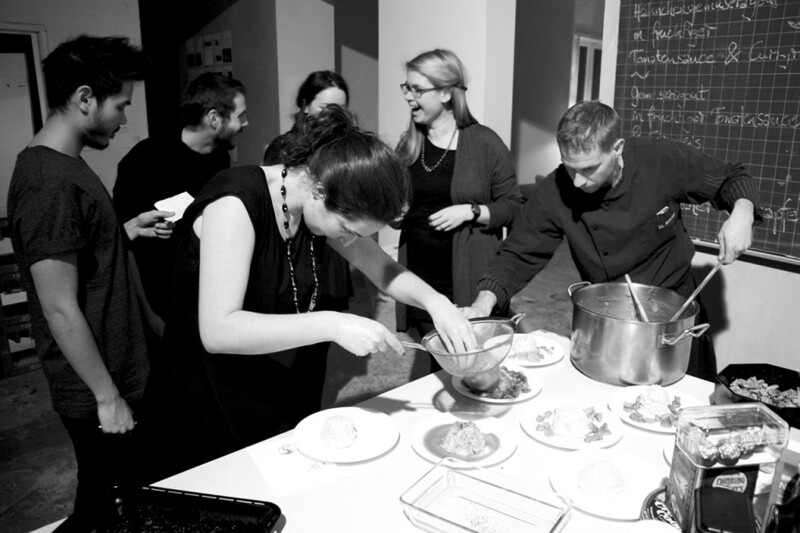 Living together and especially cooking together are essential components of the UdN project, which regularly turn our kitchen salon into a central point of communication and exchange. Participants need to bring their safety boots (S3) as well as a construction site helmet. Please note that the HafenCity University Hamburg takes no responsibility for potentially lost or stolen items while you are taking part in the workshops. To register, please send a short description of yourself and how your skills and knowhow might contribute to the workshops (max. 1 A4; whole application shouldn‘t be larger than 10 MB). Please also state duration of stay, time of arrival and departure and if you plan to stay at the Neighborhood´s University.